Summary: She is looking for the one. He never thought the one existed. But the one thing that connects them can also tear them apart. Healing from a loss, Grace Brooks wants nothing more than to move on and has given every man she dated a chance—only to find they’re not worth her time. Tying up loose ends of a case, Hunter Reeve stumbles upon a woman who may be the key to putting away a criminal family behind bars. As danger lurks, weaseling itself into Grace’s life, Hunter is forced to make a choice between his work and Grace. And the wrong choice could have consequences neither one is ready for. Source: provided by Author for an honest review - Thank you! I absolutely love this series and cannot get enough of the Cross siblings. Crossed is the prequel to the series and shares the story of how Grace and Hunter fall in love. 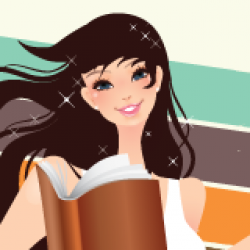 In Layers Crossed we read about Emma meeting a cowboy and finding love in an unlikely place. We were also introduced to Grace, Emma’s best friend and accomplice in all things mischief-making. And of course we cannot forget about the very hot and protective Cross brother’s, Tristan and Julian. Grace Brooks has been estranged from her family for a decade and doesn’t have any plans for a reunion, but they seem to take matters into their own hands when the “family” business gets into trouble with the law. Grace has her own life, her own successful beauty salon and the only thing missing right now is “the one” to share it with. Three years ago, both Grace and Emma experience soul shattering, heart-aching loss and Grace has struggled to find a man to measure up since. Every time she meets a man with potential they always fall short, but when Hunter is pushed into her life by Emma, well their chemistry and attraction cannot be denied. Hunter Reeve has endured a lot already in his short life. He works with Emma and her brothers at Cross Enterprises and has been investigating the Wagner’s for years. They are a slippery group and Hunter heads off undercover to find more dirt. Emma turns up on Grace’s salon doorstep with a caveman and asks Grace to work her magic. The man looked like a homeless person with a long beard and hair and a horrible stench. Grace sneaks the caveman through the back entrance and into a vacant shower room. The man doesn’t respond to Grace in any way, in the end Grace has to strip him and couldn’t believe such a beautiful man was hidden underneath the layers of grime and clothes. Grace has to wash his hair and that’s when he actually moves. It was Grace’s touch washing his hair that’s brought him back to reality. Grace leaves him to other staff and heads out the front. She is stuck thinking of this stranger until someone is yelling and glass is smashing. Thieves are demanding Grace’s safe location. He grabs her when the sirens sound and drags her toward the back door. There is something familiar about one of them, but with no time to ponder, she does as she’s told. The next second, BANG CRASH, his gun is knocked away and the thief is gone. Someone heavy is lying on Grace and she is stunned by his model looks and muscles. This was the beginning of their time together. Hunter took it upon himself to protect Grace and work on who the band of idiots were. The more time they spend together the stronger their feelings become and Grace admits that she has never felt this connection with anyone before. Will they find out who the thieves were? Will Grace let this relationship bloom instead of doom? Can Hunter open himself up to Grace and share what happened to make him zone out? 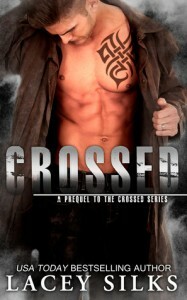 Crossed was action packed, exciting, intriguing, lusty, and steamy and a whole lot of fun. It was another suspense driven read by Ms Silks and I want more. Hunter is such a sweetheart and I hope he appears in the books to come. Ms Lacey’s style was superb and I highly recommend this series to all new adult romance readers. This book is part of the Red Hot Alphas boxset, grab your copy now! Only $0.99 for 11 books. You can read my review of Layers Crossed HERE.